If you are looking for dentures in Atlanta, you will be in great hands at Peach Valley Dental. Whether you are interested in your first set of full or partial dentures, or you are looking to replace an existing set, we are here to help. Dentures are removable prosthetic appliances that look like your natural teeth. Full dentures replace all teeth on your upper or lower arch. Partial dentures work in cases where some teeth are missing, but other teeth are in good shape. Partial dentures for front teeth, for example, are attached to a metal frame that fits in with your natural teeth to complete your upper arch. Depending on your specific circumstances, you may need to have some or all your existing teeth extracted in preparation for your dentures. Full and partial dentures are made of several different materials. Acrylic resin and plastic are common, and the base of the dentures is usually metal, coated in plastic. Prosthetic teeth are color matched to your existing teeth when applicable. Advances in technology and materials allow us to closely match the look of natural gums and teeth. Denture teeth are individually crafted to match your mouth and jaw shape. Our main priority is for you to feel confident in your decision to move forward with your treatment. Our specific process may vary slightly from patient to patient, but in general, we follow several basic steps. 1. Initial Consultation: We will complete an exam, talk to you about your dental and medical history, and discuss your goals. We may also take impressions at this point as well and are happy to answer any questions you have. 2. Extractions: If you have teeth that need to be removed in preparation for full or partial dentures, we will schedule an appointment for these extractions. 3. Immediate Dentures: Most patients are not comfortable without teeth, so we offer a temporary set of dentures at the same appointment as your extractions. 4. Final Set: Once your final set of dentures or partials is ready, we will schedule an appointment for you to come in for your final fitting. We can make adjustments to ensure a good fit. 5. Ongoing Care: If there is one misconception patients have about dentures, it is that they no longer need regular dental care if they no longer have natural teeth. This is not true. Your oral health includes your gums, as well as making sure your prosthetics continue to fit well. Over time, without natural teeth in place, denture patients will experience bone loss. This changes the gums and the fit of the dentures. Also, like any prosthetic device, your dentures will eventually need to be replaced. Dentures generally last from seven to 10 years with proper maintenance. Failure to properly care for your prosthetic devices—including cleaning and storing in a liquid solution when not in use—will result in a shorter than average life span. The acrylic can crack, warp, and break if it is not well cared for. We will provide care instructions for you to take home. When we are discussing dentures with patients, we often get questions about alternatives to dentures. If you have missing teeth, the alternative to dentures is dental implants. With implants, a titanium screw is placed into the jaw bone, and we create a crown to replace the tooth. Dental implants can be utilized for a single tooth, or in cases with multiple missing teeth. We can use dental implants to anchor a bridge. We can also use implants to support a full denture. With an implant-supported denture, you can still remove the prosthetic, but it fits more securely by snapping onto the implant posts. Generally, an implant-supported denture will require four to six implants per arch. 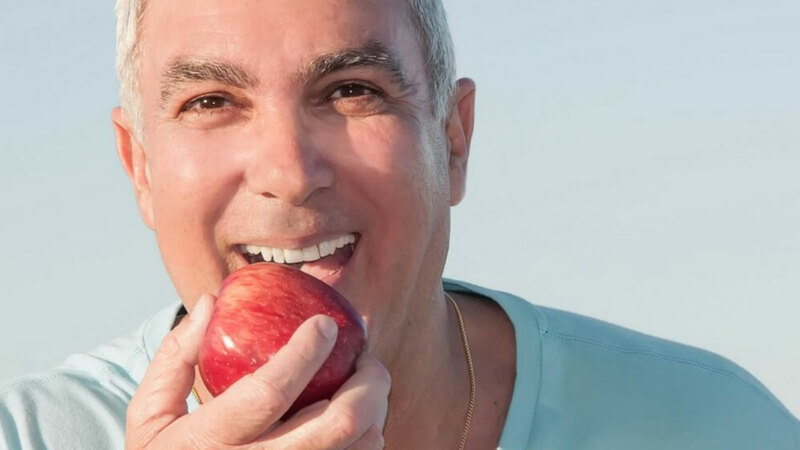 Implants require several months to heal and properly fuse with your bone, so we will give you immediate temporary dentures to use during this healing phase. Dental implants are known for their more natural look and feel, their durability, and longevity. On average, a single implant can last up to 25 years. While more expensive on the front end, you must also consider that with implants in place, patients experience less bone loss, which means less change over time to the fit of your prosthetic. This means fewer adjustments, and likely more longevity from your prosthetic. At Peach Valley Dental, we are happy to offer affordable dentures in Atlanta. We can address specific costs at your consultation since difference circumstances and specifics will impact the bottom line. But rest assured that we offer payment options, and we are in-network with many insurance companies. When discussing the cost, you must also consider your overall quality of life. If you are considering dentures for the first time, look at the quality of life you currently have, and the quality of life that you want. Ask lots of questions at your consultation so you understand the process and what you can expect once you have dentures. Dentures and extractions can sound overwhelming, but our team is here to guide you through the process and get you to the result you are looking for. Dr. Dennis and her team at Peach Valley Dental are excited to work with you as you begin your journey for comfortable, affordable dentures in Atlanta. Contact us today to set an appointment so we can discuss your specific needs and your treatment options.